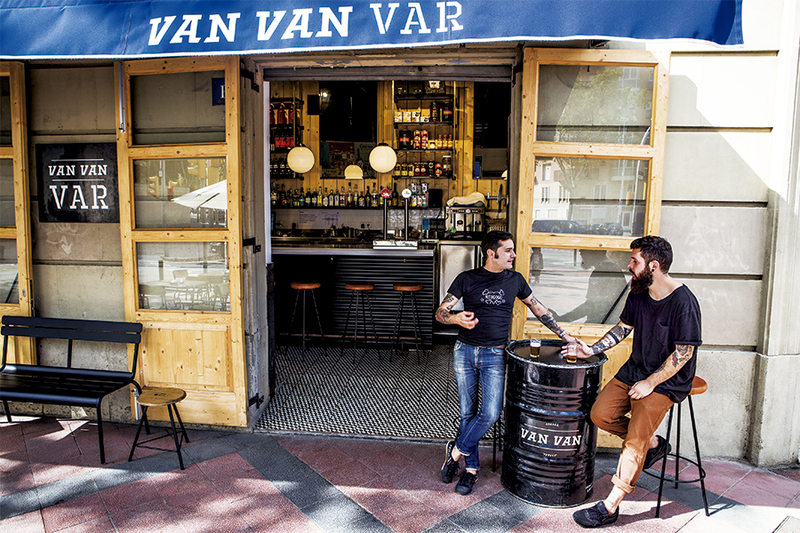 The Van Var Var is the first pop-up bar in Barcelona that offers a street food menu that changes evert week. This 18m2 tavern has a kitchen with the same size as a foodtruck cabin, and chefs of the most prominent food trucks that have been part of the Van Van Market are invited weekly to show their skills. The idea is to replicate the concept of the Market at it’s minimum size, where customers can taste in the terrace or take away the latest creations by the best chefs in the local street food scene. The gastronomic offer is also complemented by a permanent display of quality canned tapas elaborated with it’s own sauces and using local suppliers and small craftsmen.